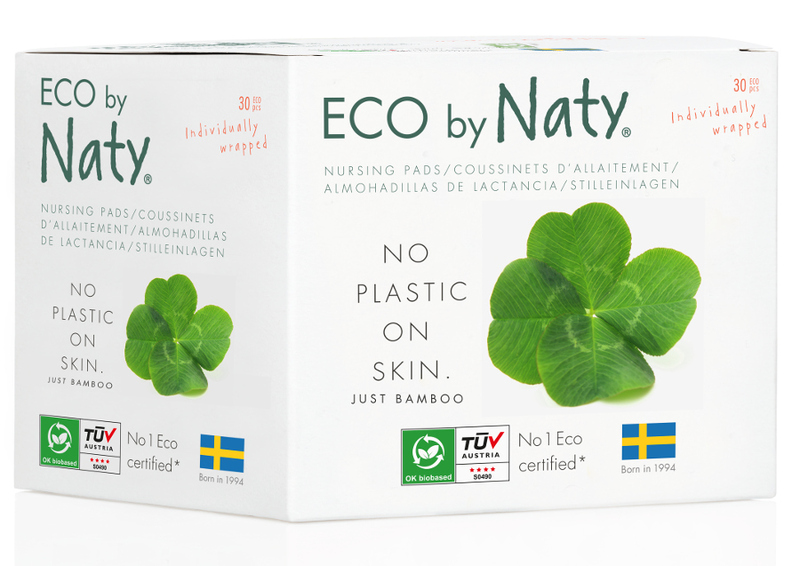 Individually wrapped nursing pads from Eco by Naty, made with a soft and certified bamboo top layer, absorbing wood pulp core and a certified 100% compostable leakage protector. The eco-friendly nursing pads are kind to your skin as well as the planet, and they are soft and thin for maximum comfort with a double adhesive strip to keep them in place. Super absorbent with superior leak protection, the pads are made without perfumes, dyes or oil based plastic. 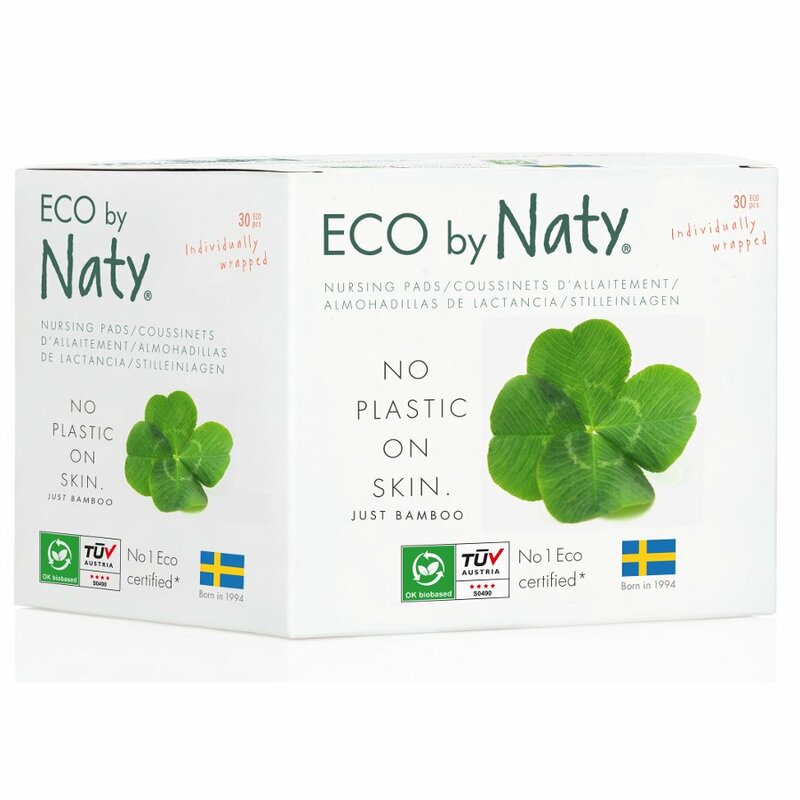 The Eco by Naty Nursing Pads - Pack of 30 product ethics are indicated below. To learn more about these product ethics and to see related products, follow the links below. There are currently no questions to display about Eco by Naty Nursing Pads - Pack of 30. Proud to be at the forefront of sustainable baby care, Eco by Naty specialises in high quality, naturally produced nappies amongst other health and cleanliness products.